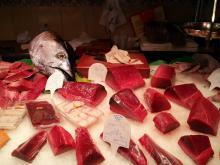 Tuna labels matter in Europe! Read more about Tuna labels matter in Europe! New research suggests that Atlantic salmon inhabiting the chalk streams of southern England are genetically distinct from salmon elsewhere in Europe. 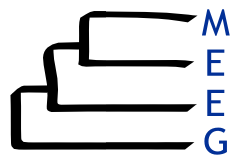 Has the evolution of marine creatures been shaped by barriers to connectivity, as observed in many terrestrial species? 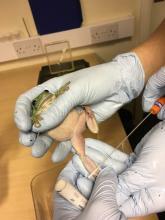 Scientists at the region’s leading zoological charity have joined forces with researchers at the University of Exeter to develop a ground-breaking test for a disease that’s sweeping through the natural world. The proposed project will investigate the extent of selection driving genetic differences between populations of the two species, E. verucosa at the northern limit of its range, A. digitatum at its southern limit. We will explore fundamental differences in their basic biology to elucidate biological factors that might be contributing to the markedly different patterns of genetic structure observed, whether due to differences in connectivity or to selection. Congratulations to Jill Goodwin et al.